Home / News / College students are asked who's the new face of the Democratic Party — Nancy Pelosi or Alexandria Ocasio-Cortez? College students are asked who's the new face of the Democratic Party — Nancy Pelosi or Alexandria Ocasio-Cortez? 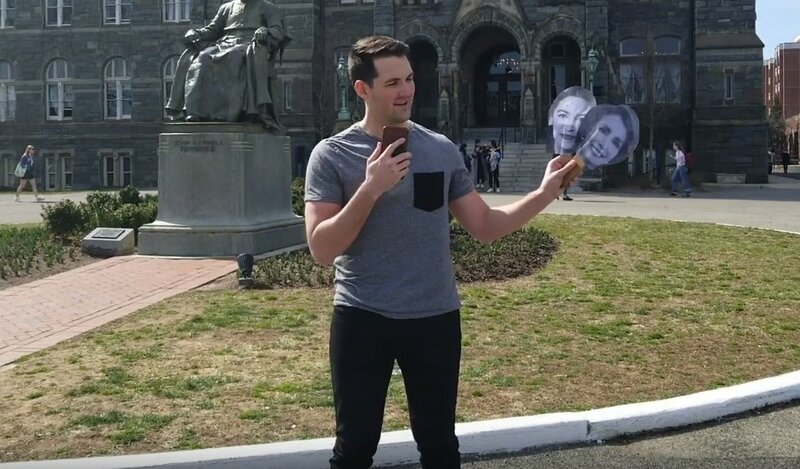 Campus Reform's Cabot Phillips recently ventured upon the campus of Georgetown University to ask students who they believe is the new face of Democratic Party: powerful Speaker of the House Nancy Pelosi, a decadeslong veteran of the congressional battlefield, or 29-year-old, far-left U.S. Rep. Alexandria Ocasio-Cortez, who seems to grab headlines just about every day as the end of only her third month in office approaches. One student called Ocasio-Cortez "new" and "fresh." "I think AOC is taking the party in a new direction," another student said. "I think she's a little stronger," another student said of AOC. "She's got the people. We're in a time of extremes; she's pulling pretty far to the left; I think people are gonna like it." Another student noted that Ocasio-Cortez "represents a new progressive thing that's pretty prevalent on college campuses." "I see the Democrat Party moving toward a more liberal, progressive, younger generation type of thing," another student said. But not everybody was enthusiastic about AOC, even when agreeing she's the new Democratic face. One of the students "unfortunately Ocasio-Cortez" gets the nod while another said, "It's AOC; I sort of wish it weren't, but I do think we're going in that direction." Pelosi wasn't completely shut out of the proceedings, as a few students said the House speaker still wields a lot of power and that Ocasio-Cortez is a bit too "extreme to the left."